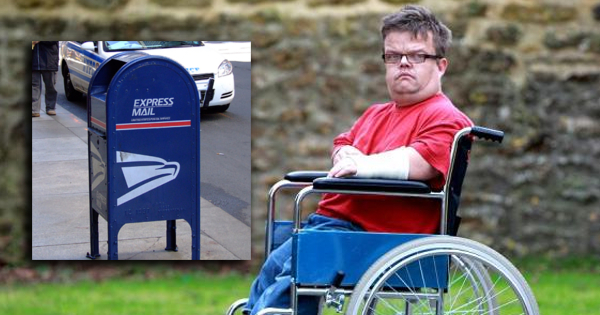 A man suffering from dwarfism almost died after falling inside a U.S. postal mailbox last Friday and remaining stuck inside the narrow container. According to doctors, he broke his left thumb, but should suffer no long-term physical consequences from his misadventure. Mr. Morrison says he fell in in the box while attempting to mail a letter and was unable to get out. He claims the accident was in part due to the fact that the mailbox was almost 40 years old and wasn’t as safe as the new ones.